Two weather fronts are expected, with yellow weather warnings for wind issued in the Yorkshire and Humber area on Friday and on Christmas Day. 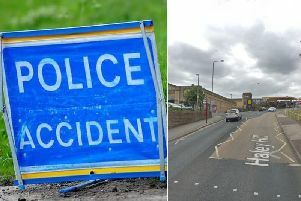 West Yorkshire and Calderdale are currently just on the edge of these weather warnings, but the council says developments will be closely monitored. Rain is forecast, but as the weather systems are moving quickly it is not predicted to last and no Met Office weather warnings have been issued for rain. Council teams have continued with the recent clean up works around the borough, with culvert screens cleared, gullies checked in flood prone areas and additional road sweeping taking place. Drainage is being checked and cleared where necessary and forestry services are undertaking work to minimise any potential impact of the wind on the borough’s trees. Additional staff will be on standby over the Christmas period to respond effectively if they are required. Calderdale Council’s leader Tim Swift, said: “Unfortunately, it looks like the period of quiet and dry weather conditions will be coming to an end, just in time for the festive period. “As with any time that adverse weather conditions are predicted, the Council is ready to swing into action if required. “We’ve been busy keeping drains and gullies as clear as possible and undertaking precautionary measures in response to any forecasts we receive.